I recently reviewed actor James Garner's book The Garner Files: A Memoir written with Jon Winokur. Click here to see that review again. Garner repeatedly refers to his friendship with actress Julie Andrews, having worked with her in three different movies. She also wrote the Introduction to his book The Garner Files. The third film on which they worked together is the 1999 TV Christmas movie One Special Night. This story takes its inspiration from the stage play A Winter Visitor, written by Jan Hartman. 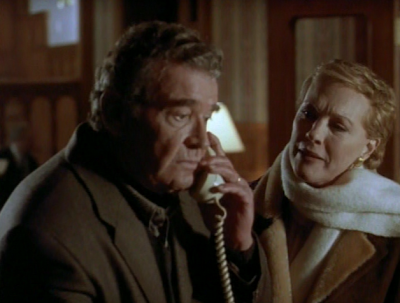 James Garner as Robert, Julie Andrews as Catherine. The story begins at Thanksgiving when a blizzard prompts Catherine to offer a stranger named Robert a ride home from the nursing facility. Catherine has been there visiting the room where her now deceased husband had spent his final months. Robert is in the hospice keeping company with his wife who is tragically suffering from Alzheimers disease. 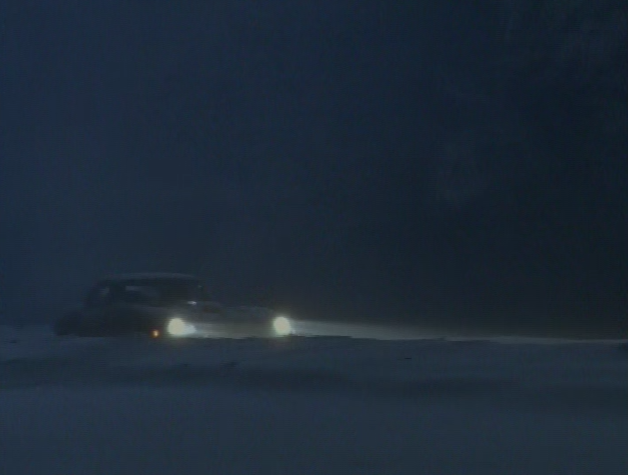 A blizzard forces the strangers into one car to share a dangerous ride home. The journey home in the storm is treacherous and their car slides off the road. Eventually they are forced to abandon the car and seek shelter in an empty cabin in the woods. Though they don’t get along at first, James and Catherine come to share one special night in that cabin, safe and warm by the fire place. The emergency situation brings the strangers emotionally closer together. Catherine and Robert find they share many things in common after all. 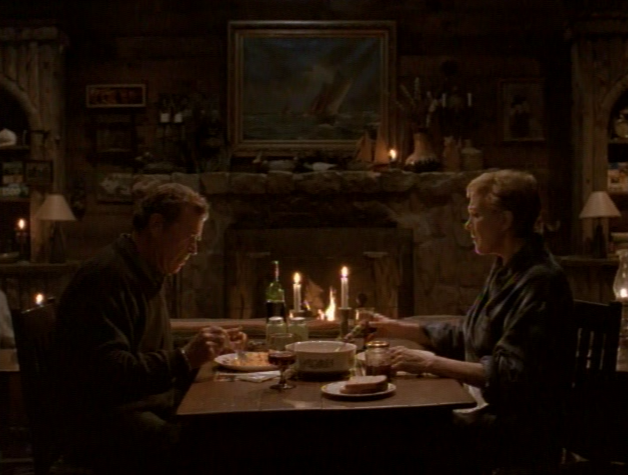 After the storm passes and they find transportation back to the city, the couple promises to meet again the following week at a local diner. 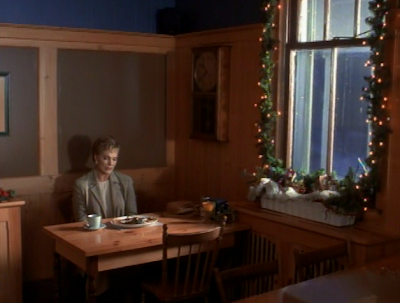 Catherine waits at the diner at the appointed time but Robert never arrives. 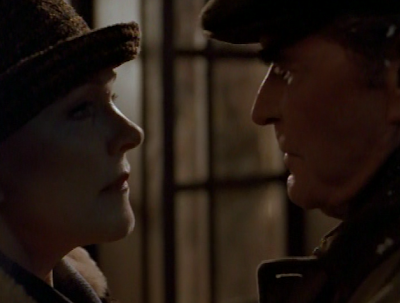 But at the appointed hour, circumstances interfere and the couple do not reunite as planned. That is, until Christmas Eve when Catherine is called in to the hospital where she works as a pediatric cardiologist, asked to help deliver a premature baby, the birth of Robert’s grandchild. Catherine pretends her feelings aren't hurt that Robert stood her up. When Catherine and Robert see each other on Christmas Eve, the hurt feelings over the missed breakfast date are explained and the couple have one more chance to come together. The romance here is in the details but I don't want to give too much away and spoil it. It's a classic romance story with a stellar cast that makes it extra special. 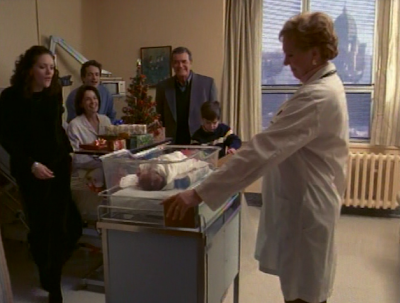 Like some of the best TV movies, it's a small story with great nuanced performances. 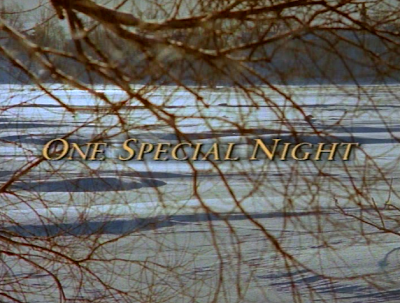 Christmas TV movie fans will appreciate this love story. Its touching romance reminds me of several other classic Christmas TV movie romances including 1969's Silent Night, Lonely Night with Lloyd Bridges and Shirley Jones, and 1988's The Christmas Wife with Jason Robards and Julie Harris. Will their future hold more than ONE special night? However, One Special Night has a special place in my heart after reading in Garner's memoirs that it is one of his favorites as well. What's your favorite Christmas TV movie romance? This TV movie is available for viewing on DVD--I easily found it at my local library. Watch the trailer here. The full movie is worth seeking out. Not familiar with this movie, yet, but adore James Garner. Had to write to give you thanks for the reference to 'Silent Night, Lonely Night', as I've been trying to remember the name of that film for years and years. Thank you.